Natural habitats include rocks, cliffs and river-banks. It is a pernicious weed of lawns. 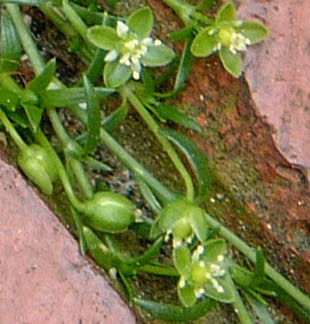 green sepals and 4 or 5 very small white petals (may be absent). There are 4 or 5 white stamens. 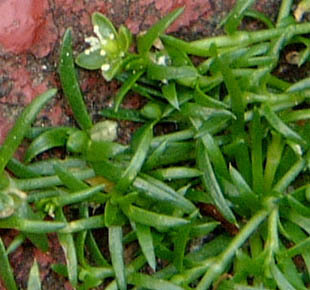 Leaves are small and fleshy (5-12mm long). 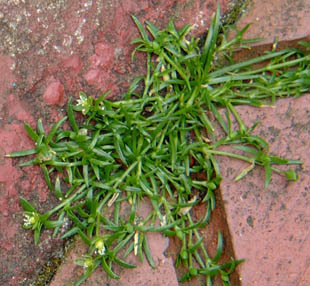 It spreads by seeds and spreading stems.